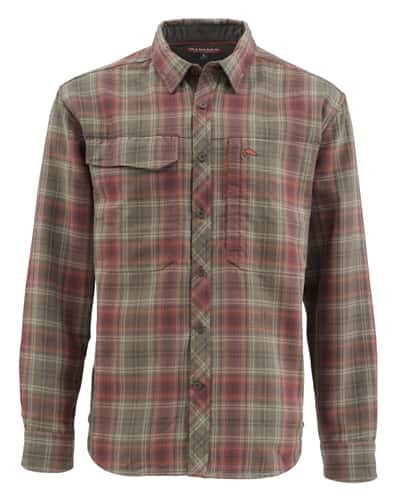 The Simms Guide Flannel Long Sleeve Shirt is a great looking all around collared flannel fishing shirt. The Guide Flannel shirt provides pockets to store fly boxes and tools. The body of the shirt is a thicker material than the sleeves to provide more warmth to the core. When you dunk your arms in to grab your catch, the sleeves won't soak up water as much due to the 100% polyester wicking fabric.